Complete digital workshop service and repair manual in German language written for the Mercedes-Benz Typ-124 Limousine, T-Limousine, Coupe, Cabriolet (E 200 D bis E500); Production model years: 1985, 1986, 1987, 1988, 1989, 1990, 1991, 1992, 1993, 1994, 1995, 1996, 1997. All styles covered (all models, and engines). 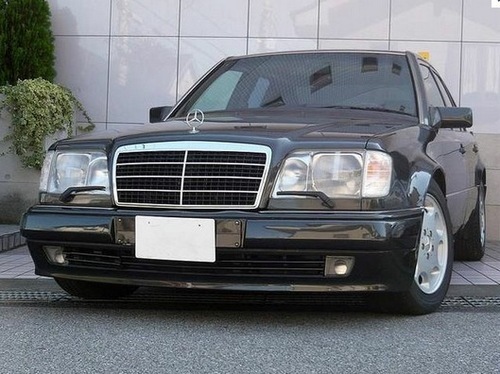 This QUALITY manual for Mercedes-Benz Typ-124 Limousine, T-Limousine, Coupe, Cabriolet (E 200 D bis E500) is 100 percents COMPLETE and INTACT, no MISSING/CORRUPT pages/sections to freak you out! Buy from responsible seller and get INSTANT DOWNLOAD now without wasting your hard-owned money on uncertainty or surprise; this manual is exactly as described. PREVIEW LINK was listed below FYI. Any doubts/questions/DISCOUNT request, please ask before purchasing. This is the same type of service manual your local dealer will use when doing a repair. This manual for Mercedes-Benz Typ-124 Limousine, T-Limousine, Coupe, Cabriolet (E 200 D bis E500) has detailed illustrations as well as step by step instructions. All pages are printable, so run off what you need and take it with you into the garage or workshop. These manuals are your number one source for repair and service information. They are specifically written for the do-it-yourself-er as well as the experienced mechanic. Using this repair manual is an inexpensive way to keep your vehicle working properly. Each manual provides step-by-step instructions based on the complete dis-assembly of the machine. It is this level of detail, along with hundreds of photos and illustrations, that guide the reader through each service and repair procedure. Complete download comes in pdf format which can work under all PC based windows operating system and Mac also. All pages are printable.